Interpretive text may soon be added to a controversial mural at the Durham Post Office to give it historical context, but a group representing Native Americans still say that is not enough. The mural was questioned last year by Rev. Larry Brickner-Wood of the Waysmeet Center at the University of New Hampshire. 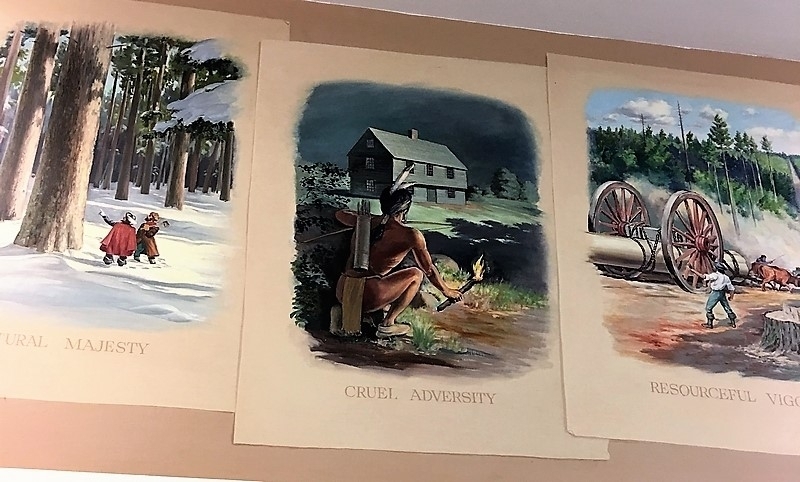 Brickner-Wood said at the time that he has always felt uneasy about what is depicted in the panel “Cruel Adversity,” which shows a Native American preparing to torch a settler’s home. According to a decades-old brochure about the 16-panel mural, it was commissioned by the Women’s Club of Durham in 1959 and painted by artist Bernard Chapman. 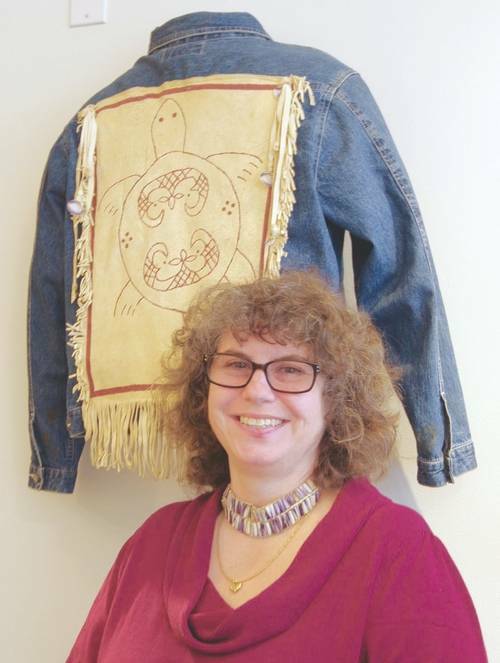 The goal was to reflect the history of the town, and the panel is meant to depict the Oyster River Massacre of 1694, where five garrison-style homes and 15 dwellings were burned. It is believed 100 people were killed or carried off. Last week, during a meeting with town officials, members of the New Hampshire Commission of Native American Affairs, a representative from the New Hampshire Division of Cultural Affairs and a representative from the United States Postal Service (USPS), the idea of installing interpretive text on the wall was brought up. The USPS has a policy that it does not remove or cover historic artwork, and it does not allow new artwork to be added, according to town administrator Todd Selig. Full story (and photos) by Kimberly Haas in the NH Union Leader.